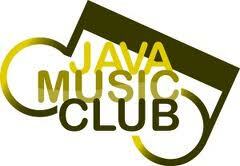 In this post we’ll discuss about playing music files using java . cool huh ? Well, this post contains three ways to play music files.To play files with au or wav extensions we’ll use libraries already available with JDK.For MP3 files there is use of an external API called JLayer(Javazoom project). Ok .. let’s get started. Download the JLayer library . Ok.. that’s not all.There is one little problem. While playing this, any other code won’t run.Which means your app will freeze until music stops playing. Following is the enhanced code that uses Thread to make it work. Note: If mp3spi1.9.5.jar and tritonus_share.jar (Javazoom project)are kept in classpath, using the java.applet package mp3 file can be played. Link to download mp3spi.